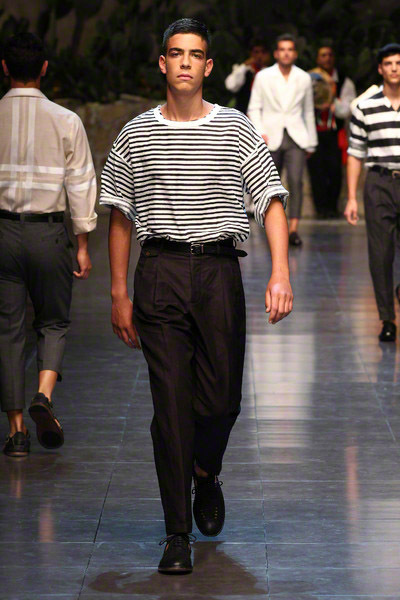 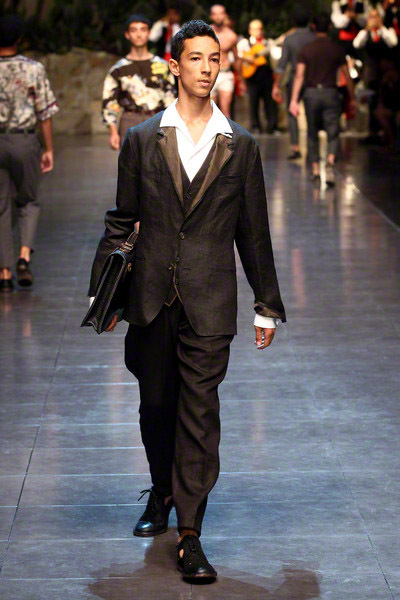 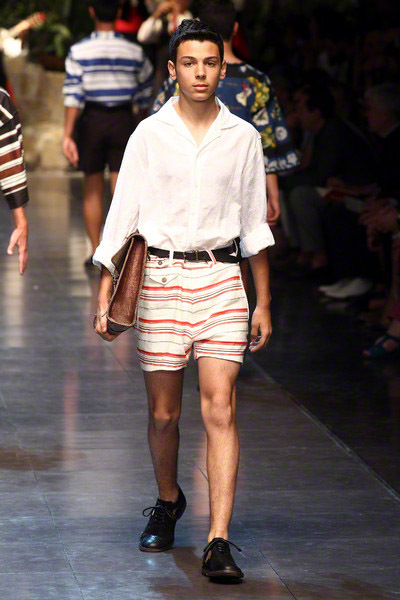 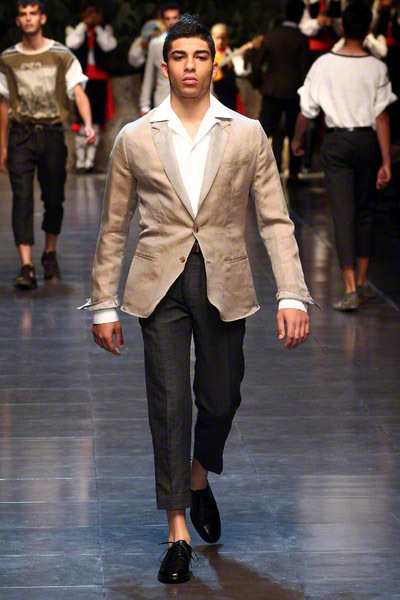 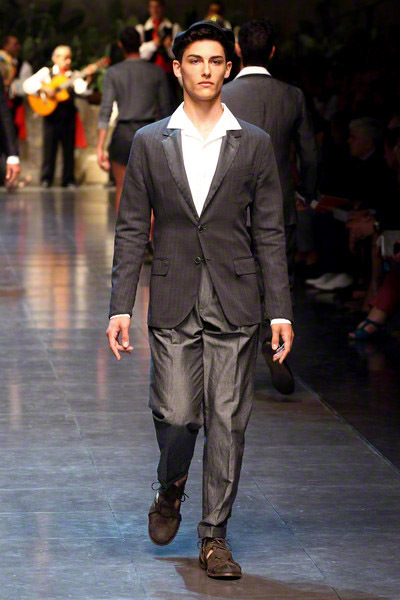 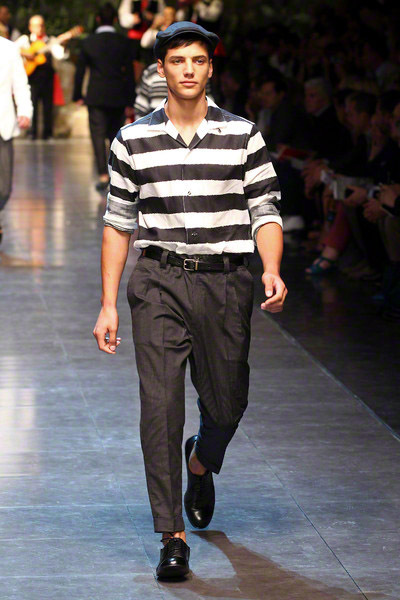 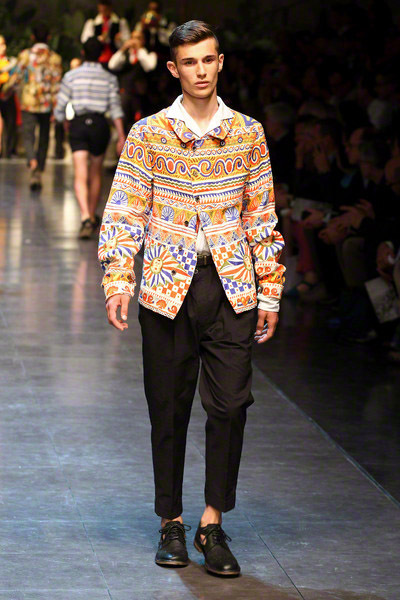 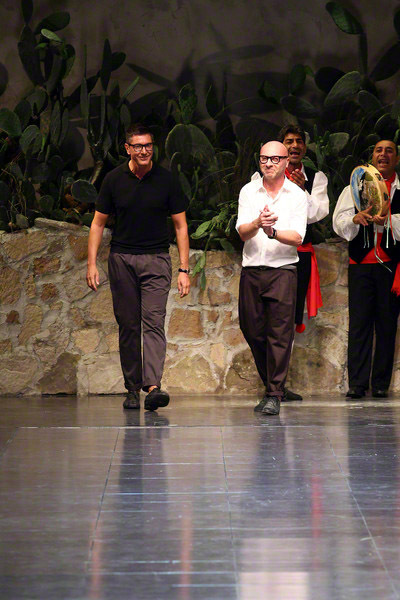 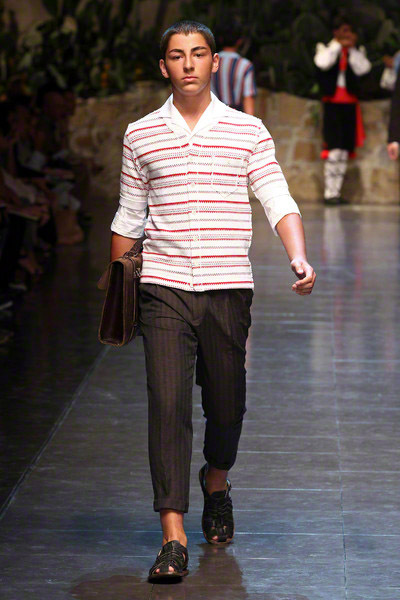 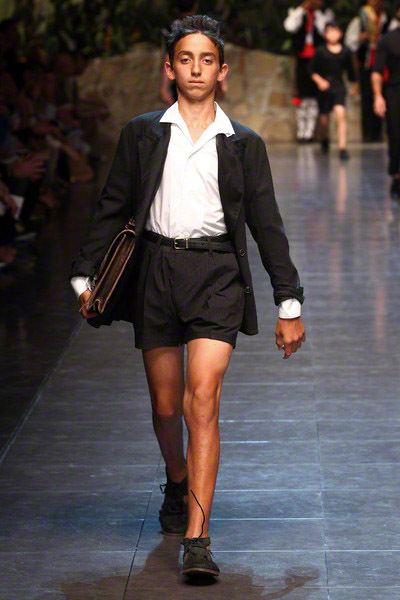 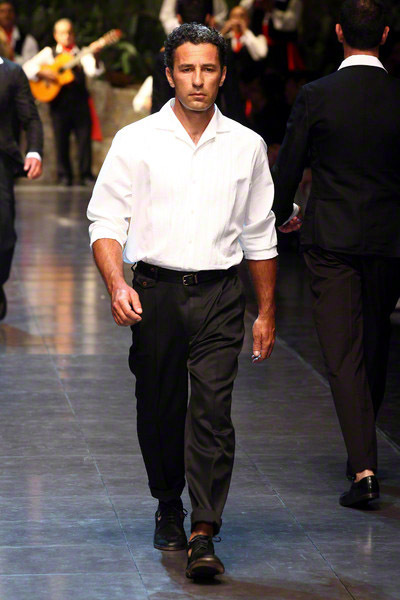 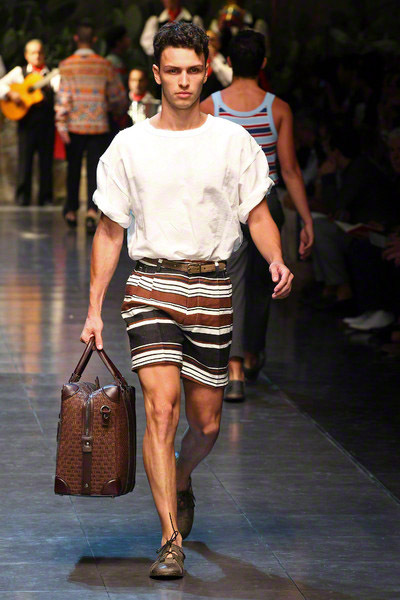 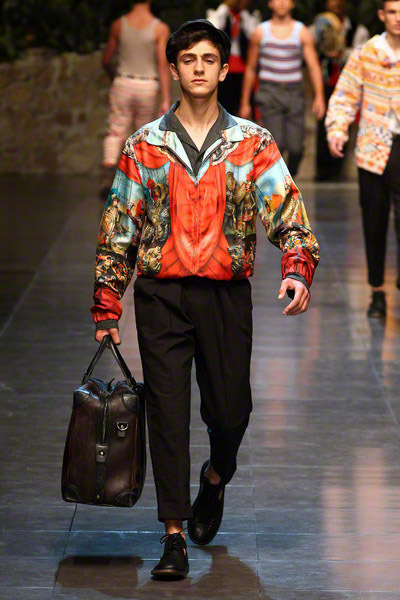 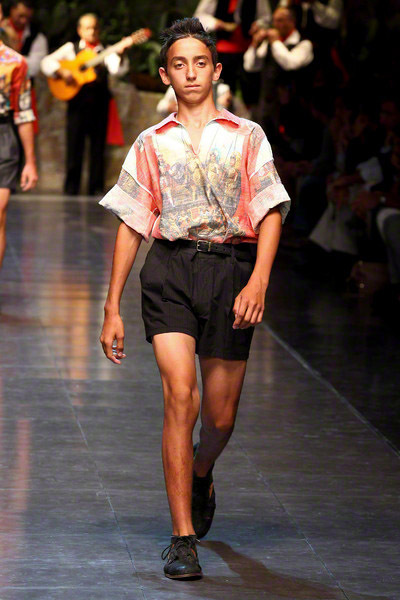 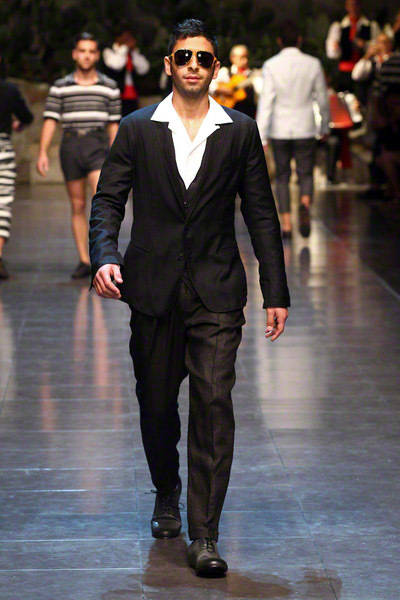 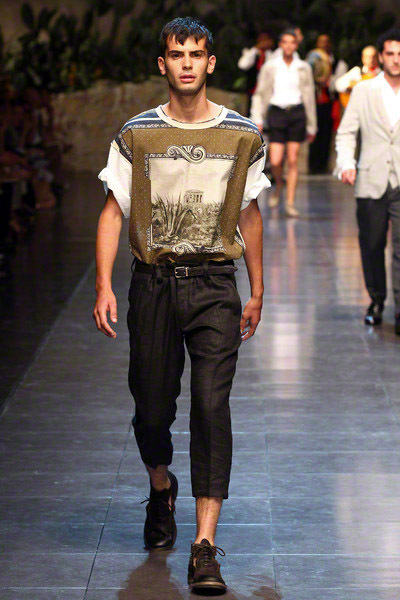 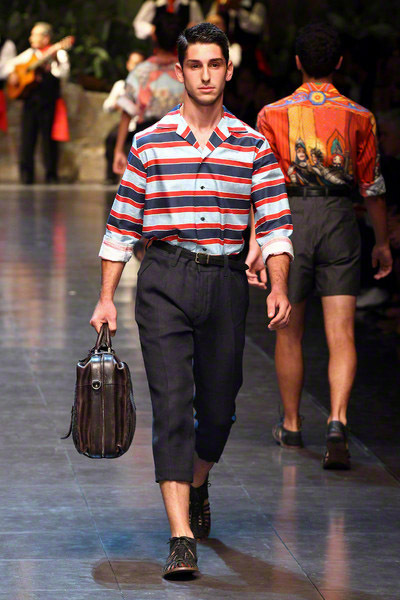 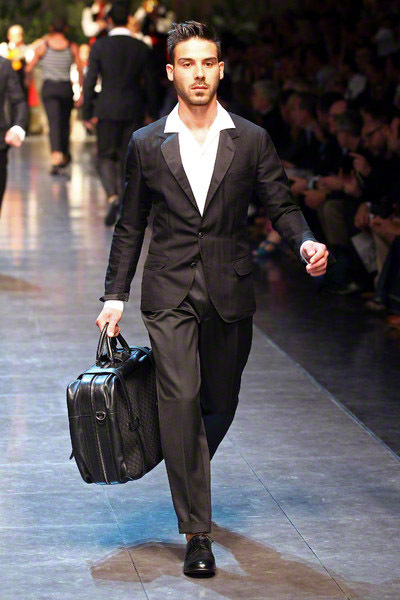 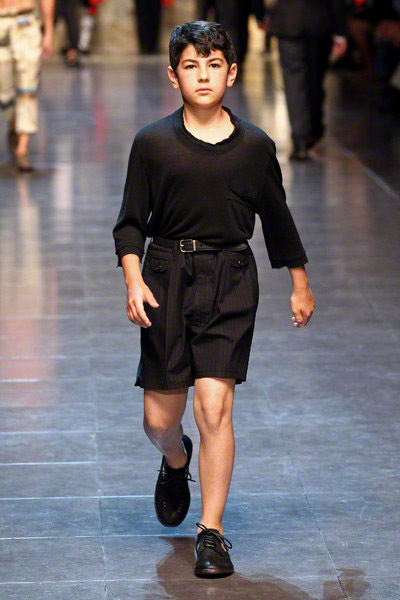 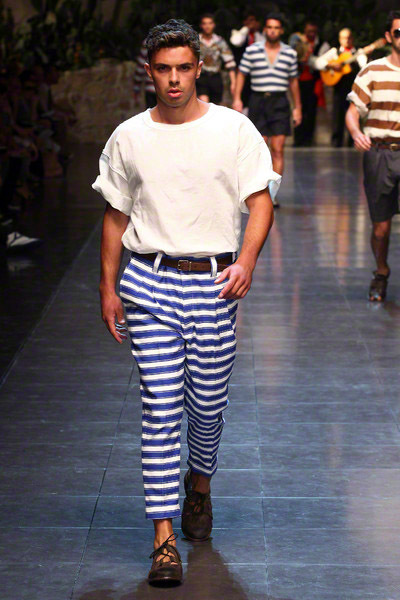 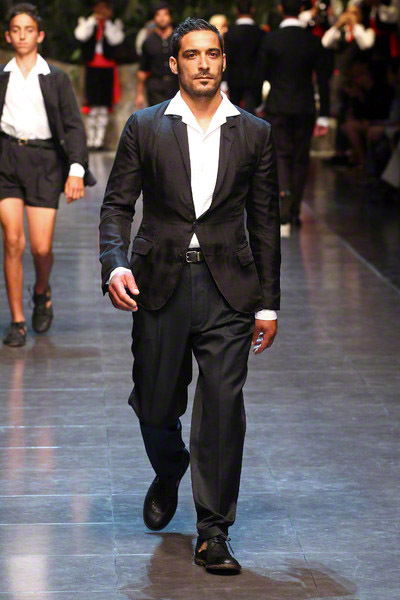 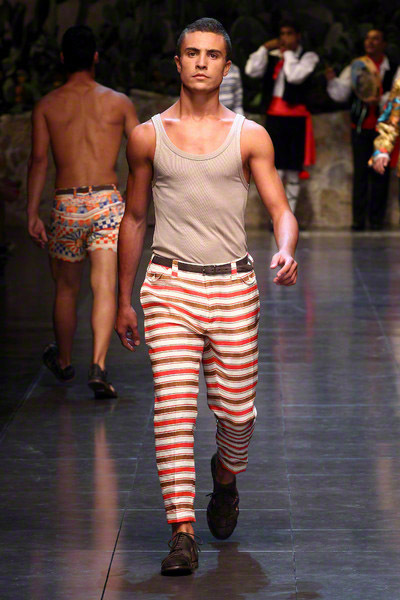 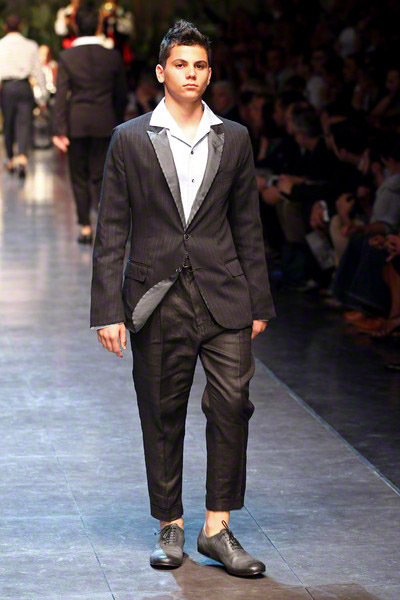 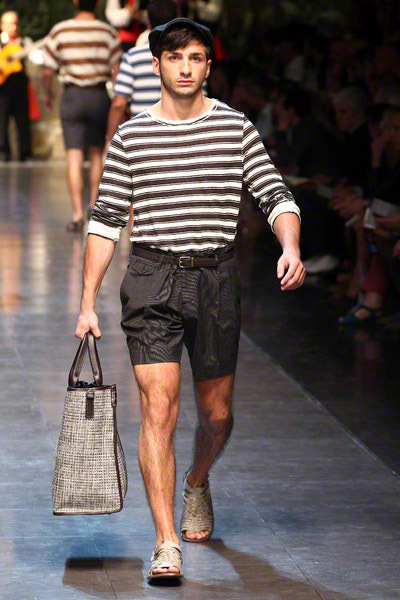 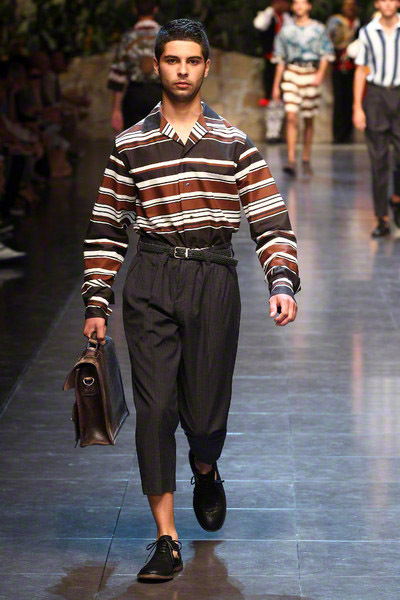 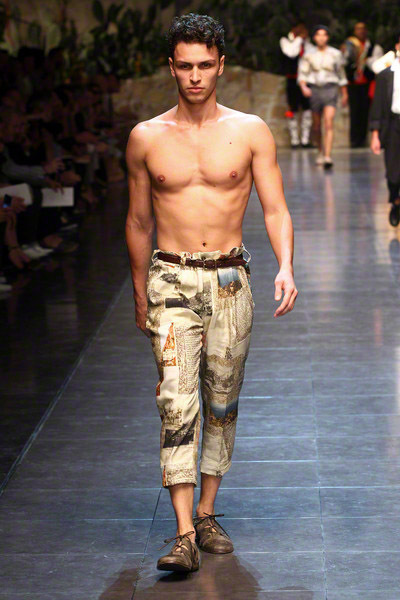 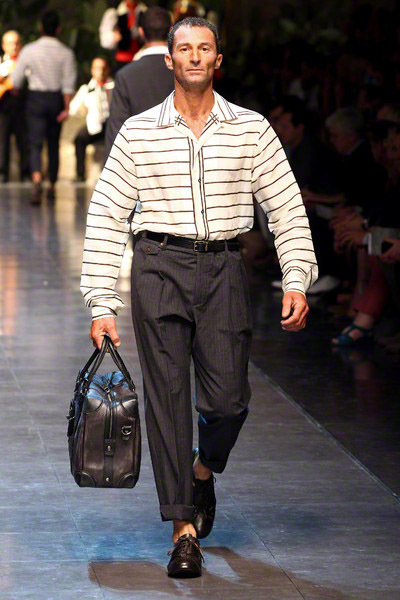 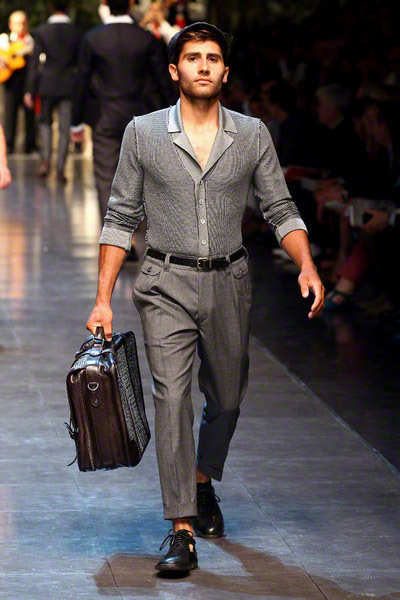 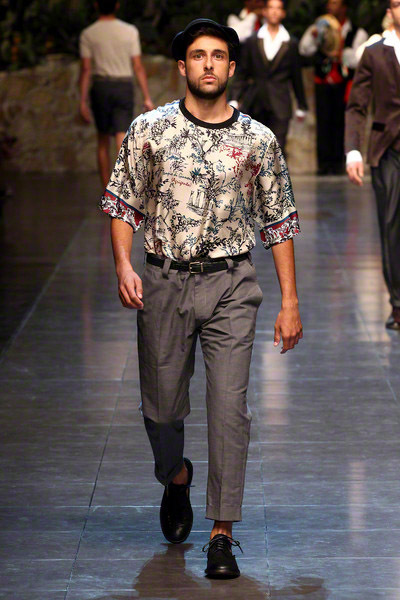 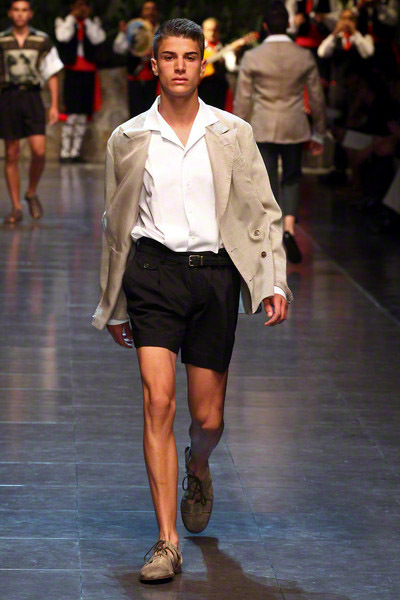 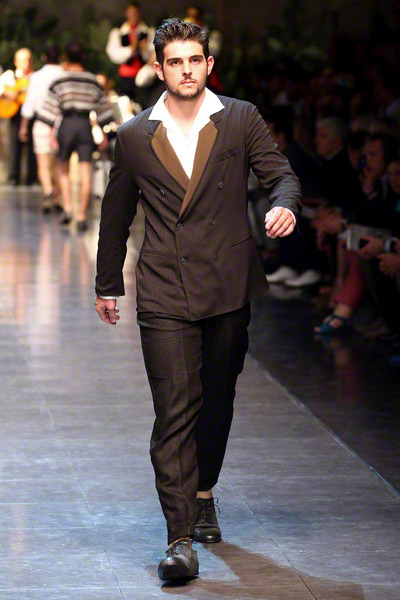 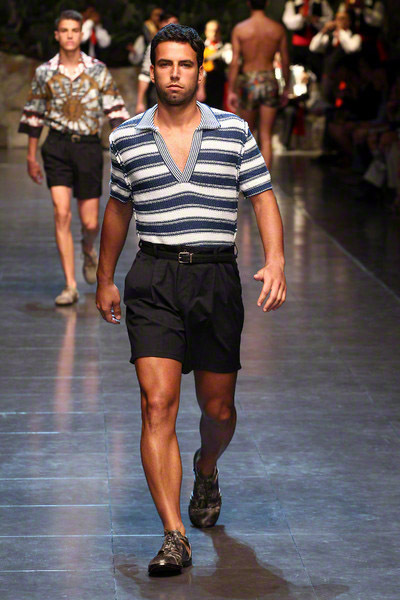 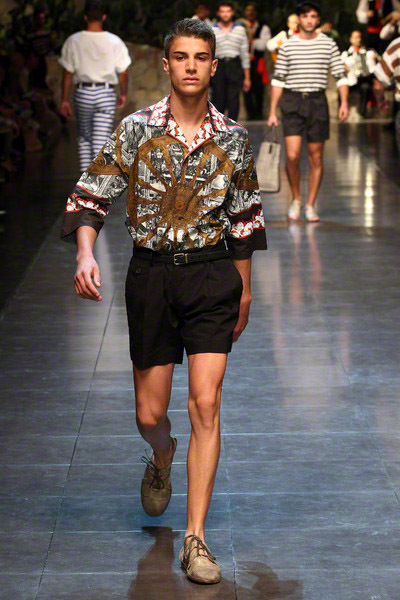 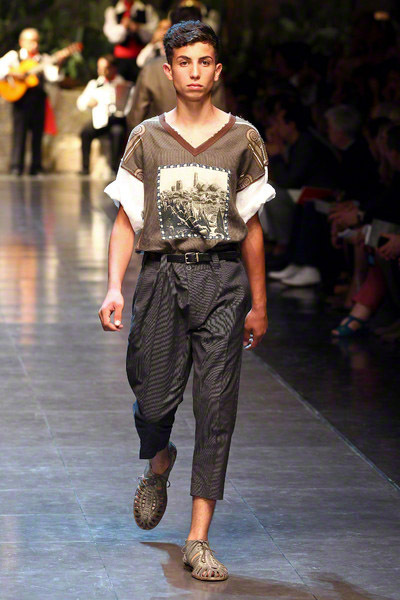 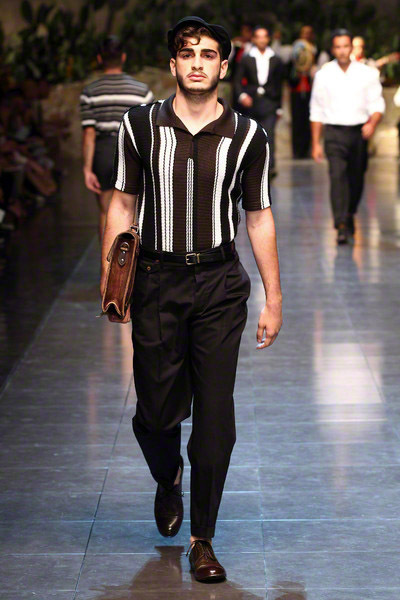 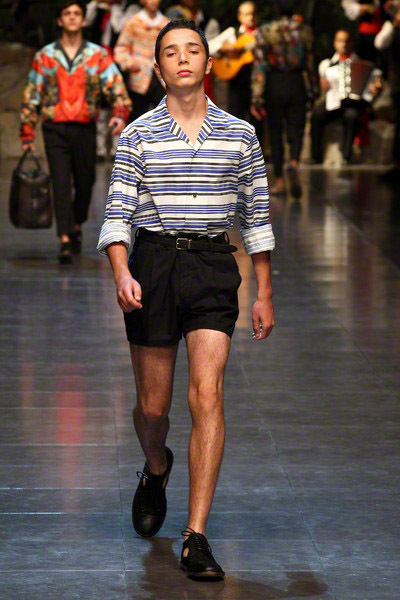 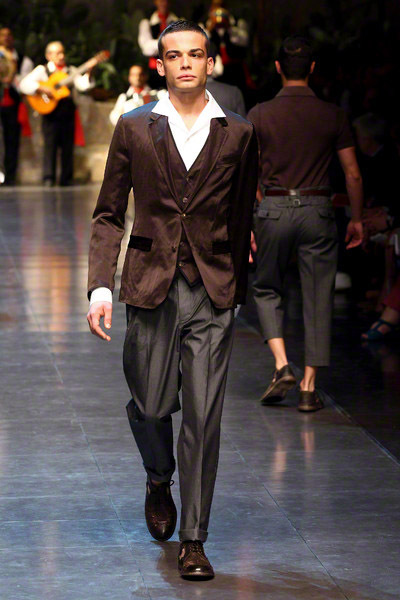 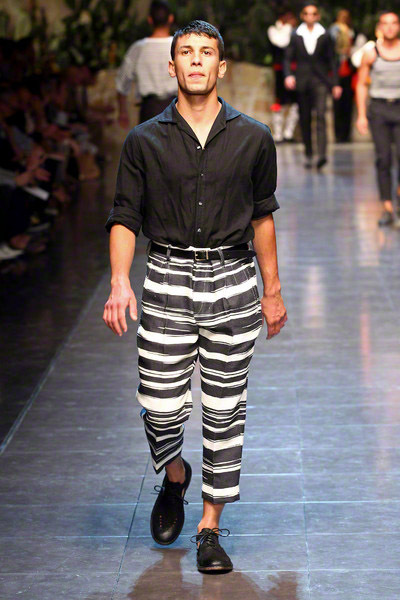 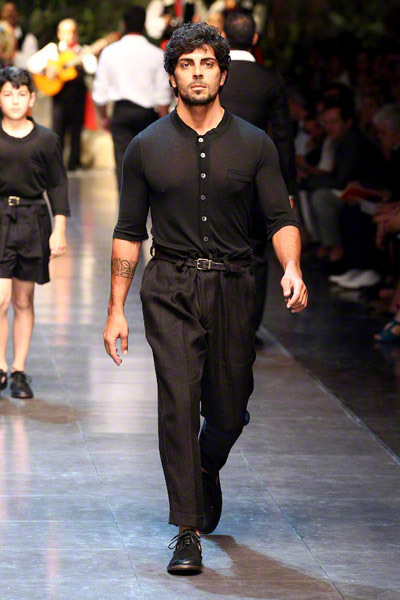 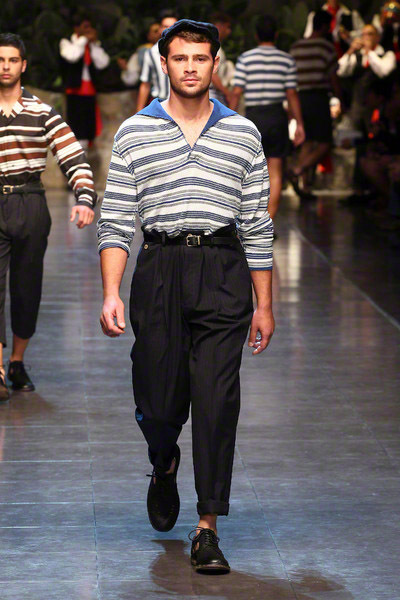 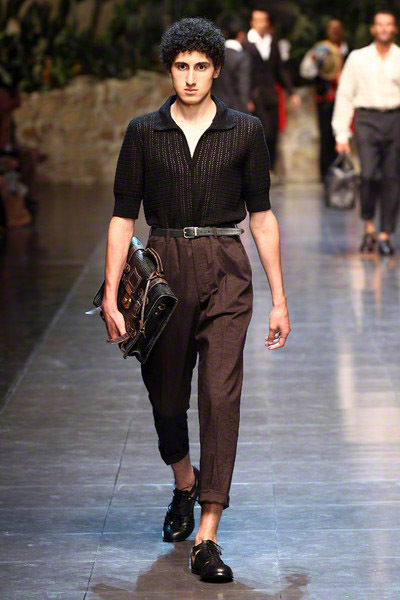 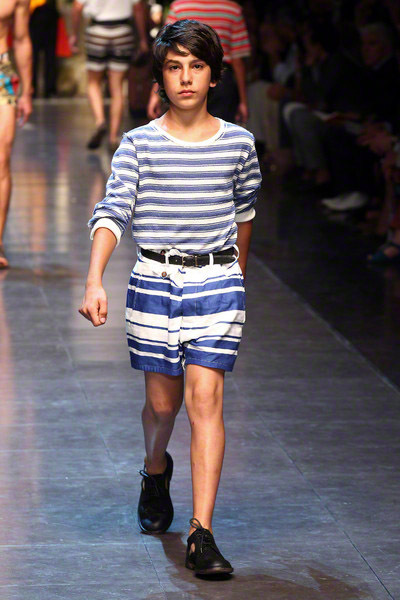 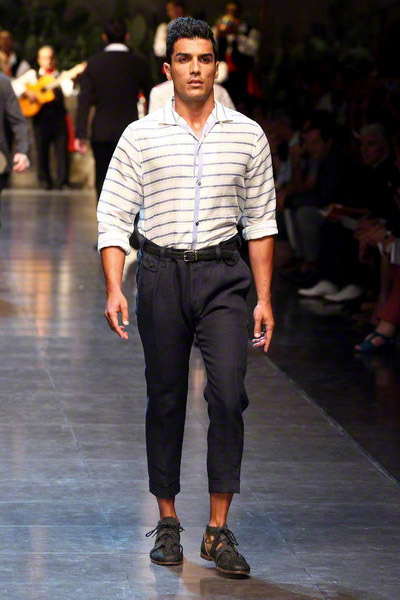 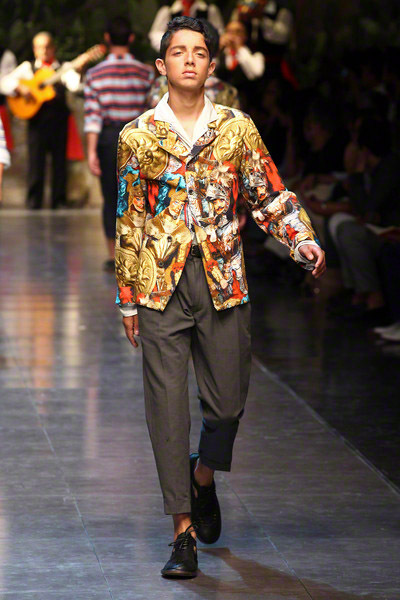 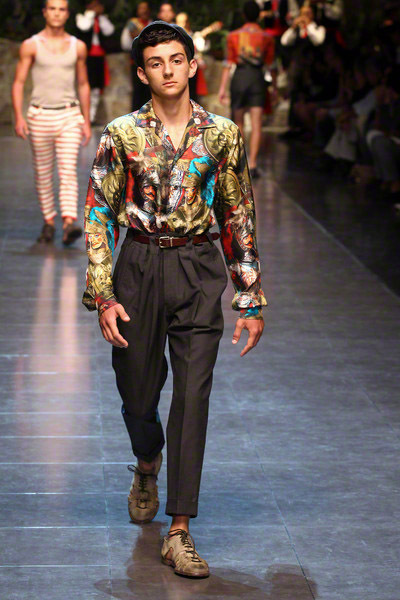 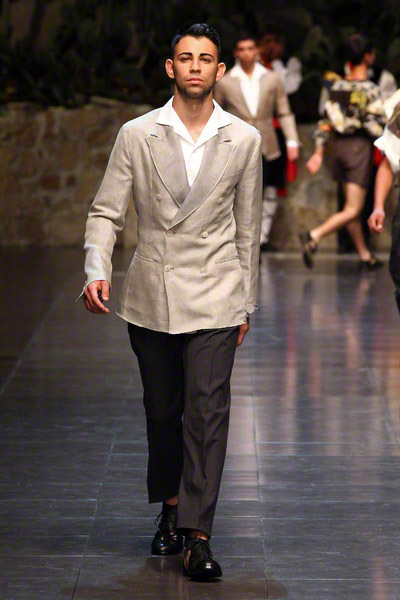 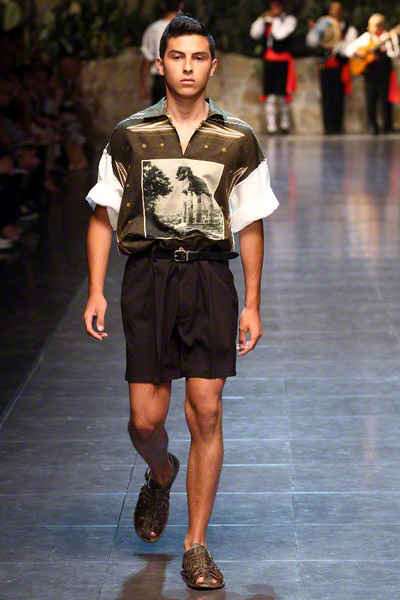 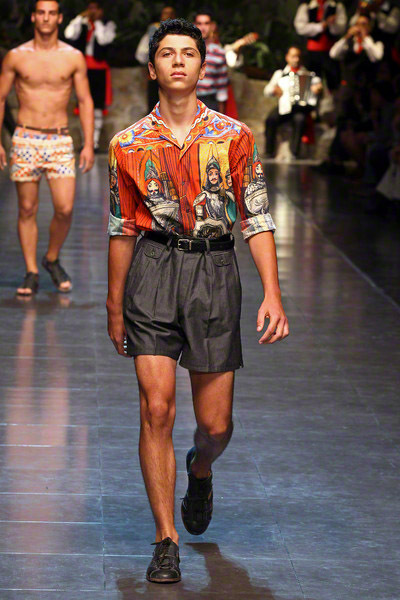 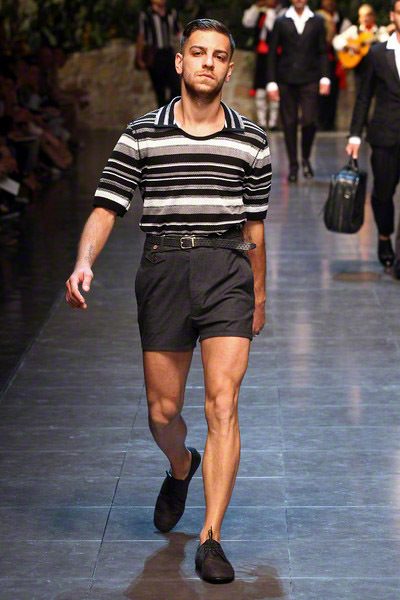 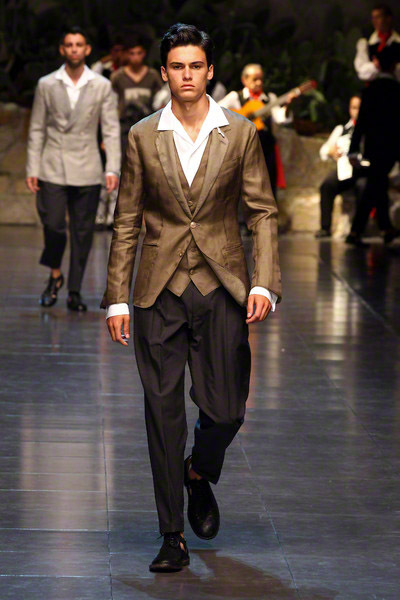 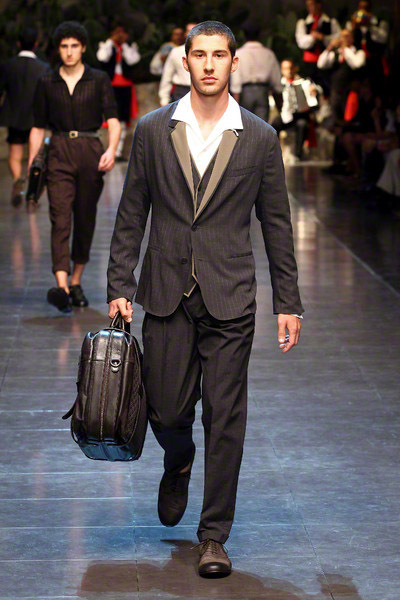 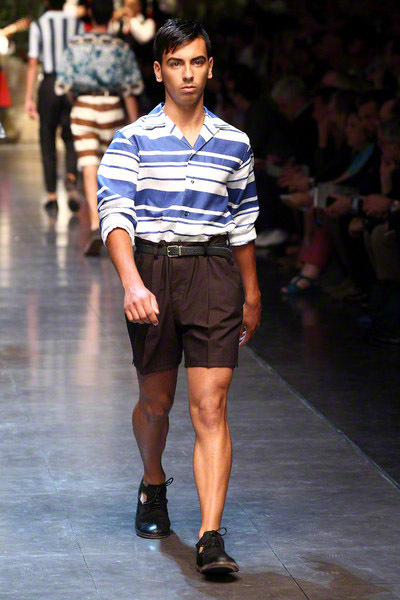 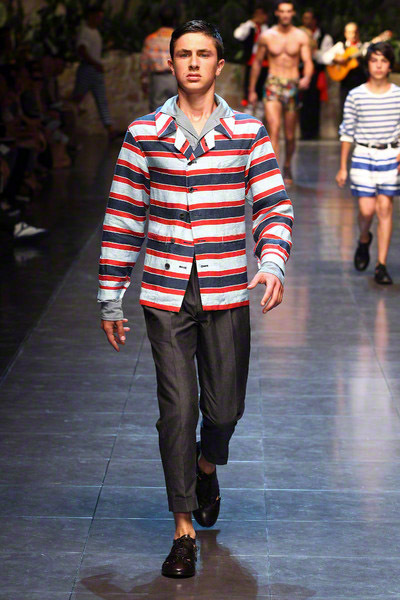 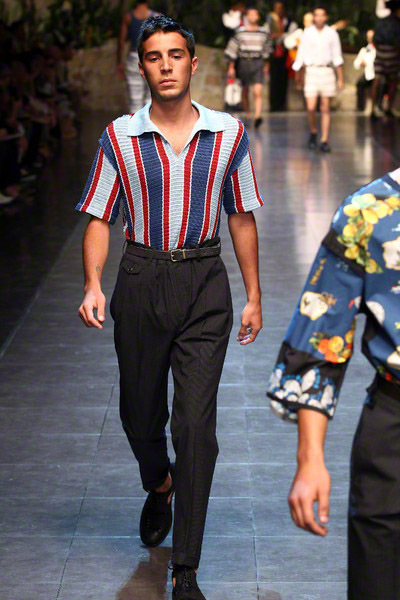 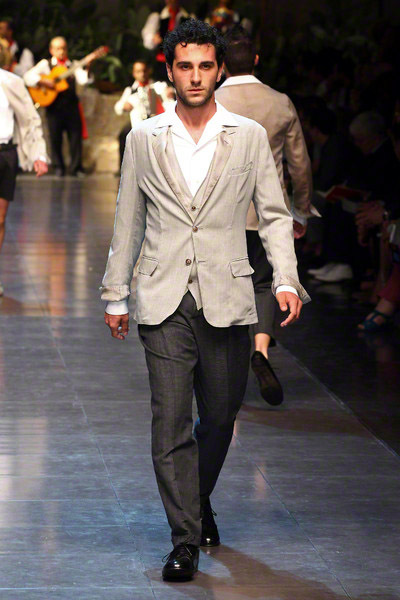 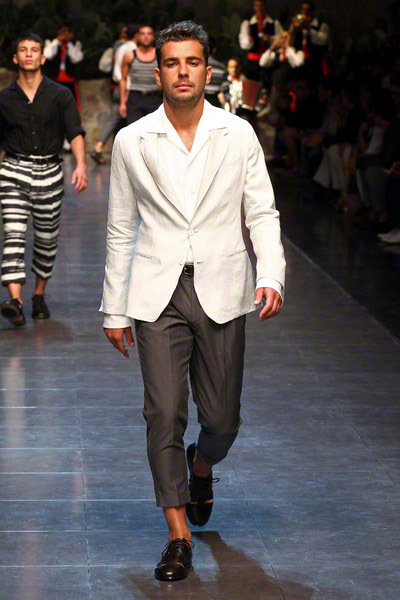 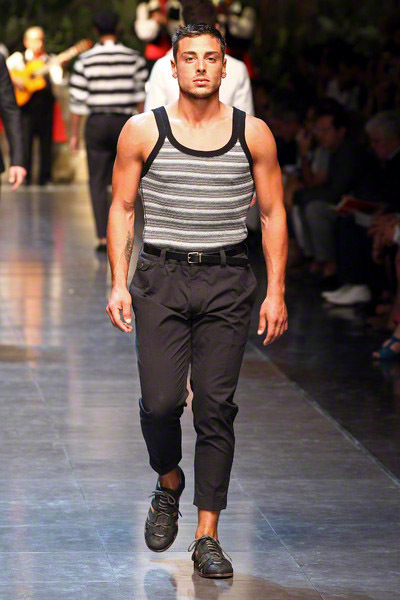 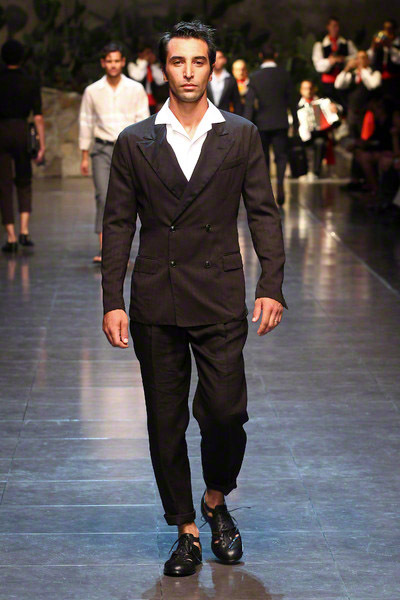 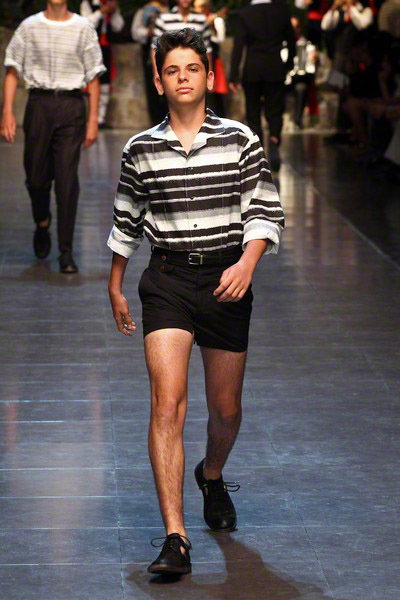 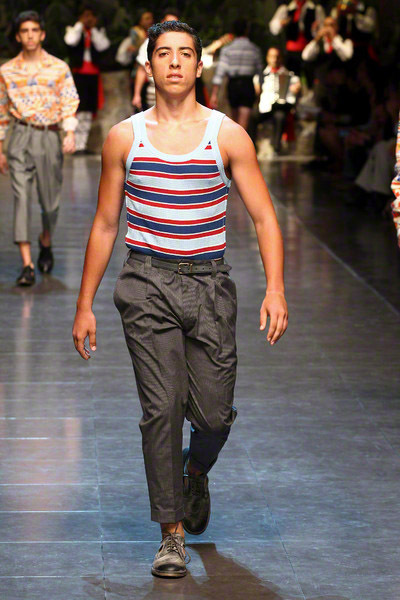 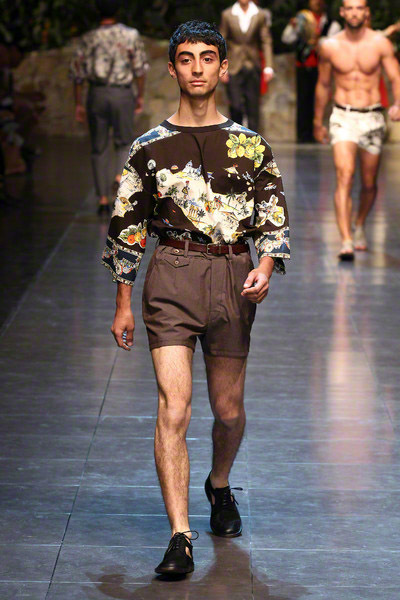 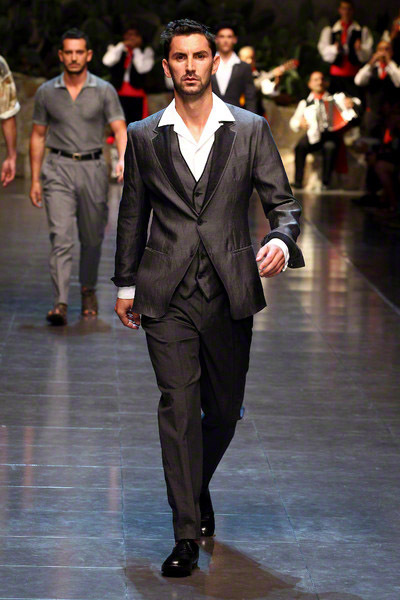 Domenico Dolce and Stefano Gabbana continued their hymn to Italy. 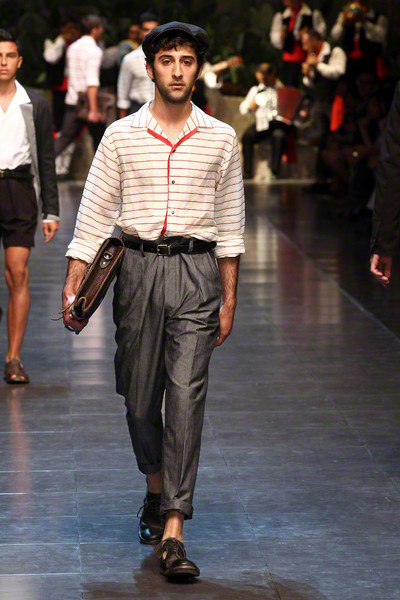 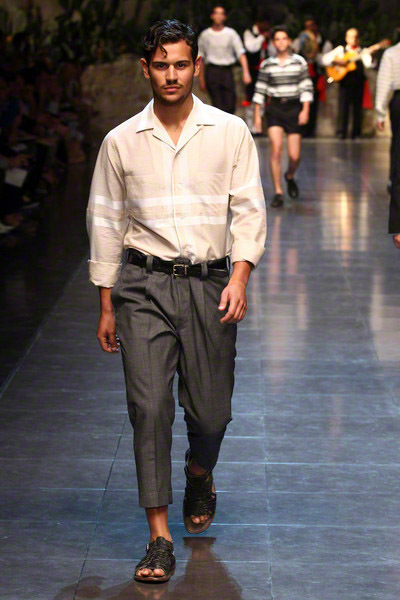 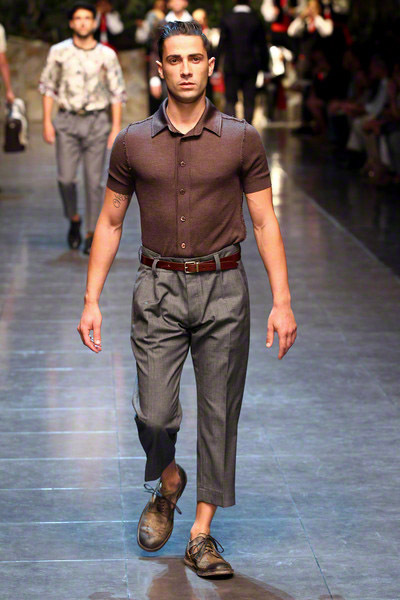 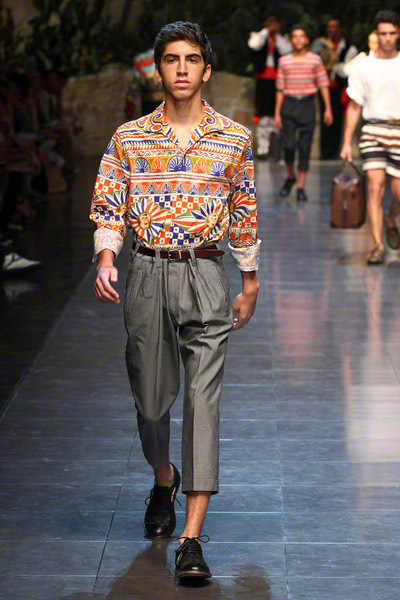 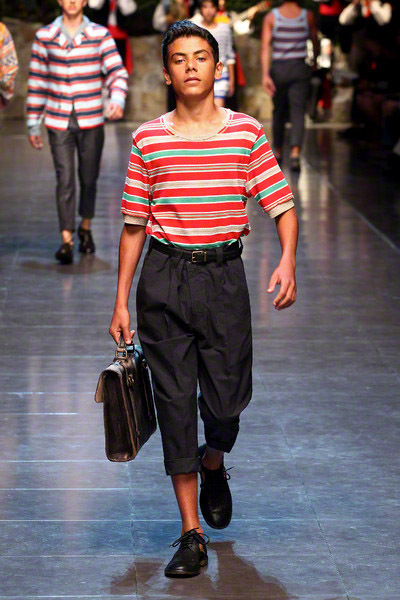 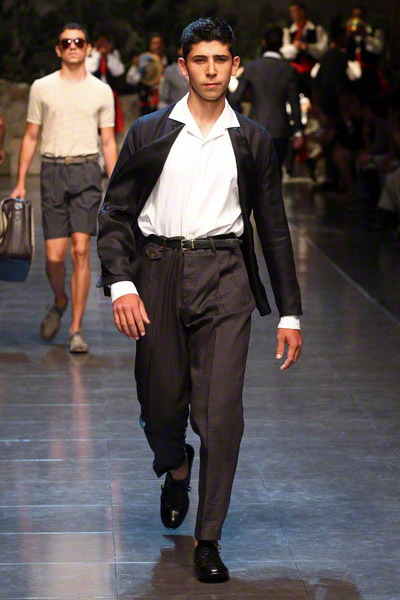 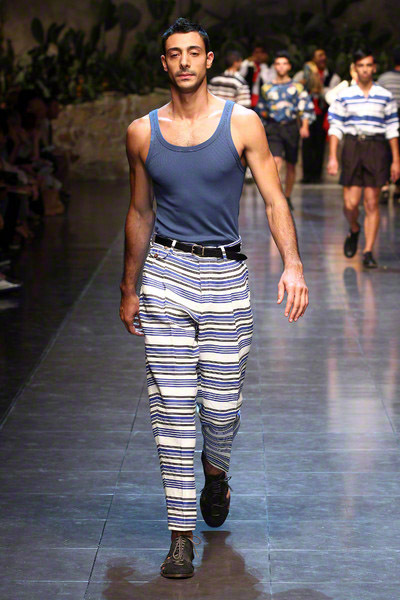 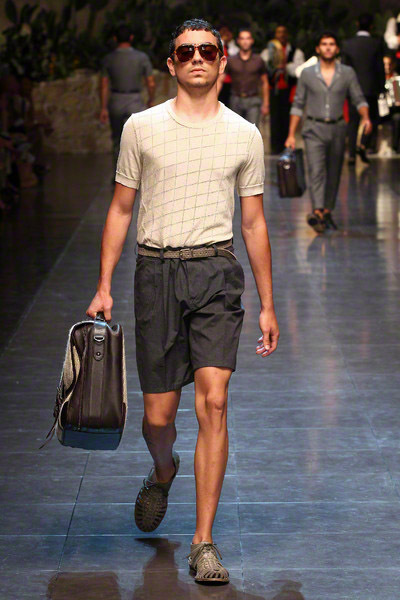 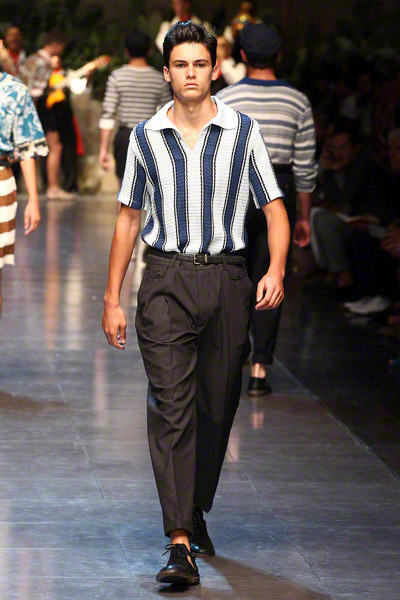 This time they time-traveled to Sicily for a nostalgic Fifties spring collection. 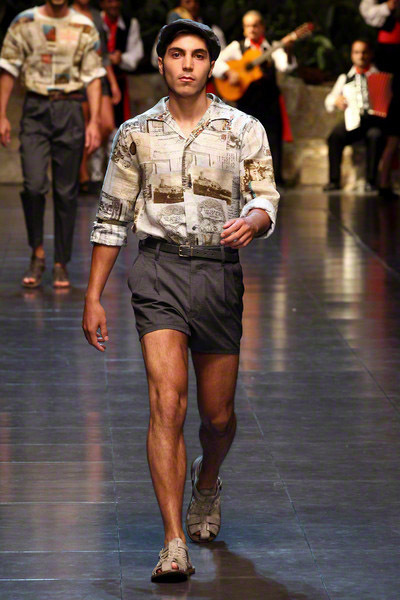 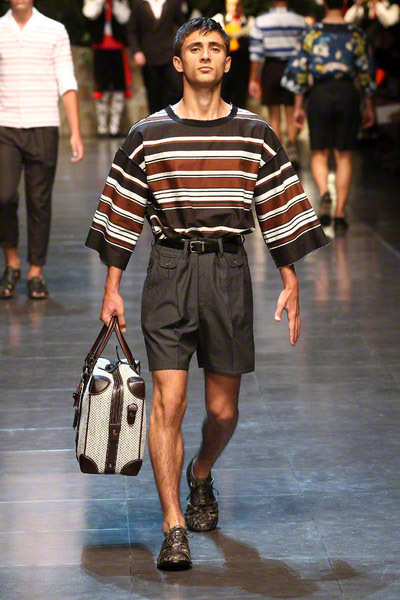 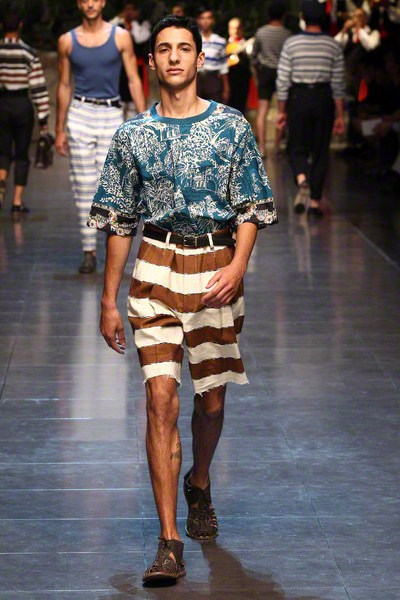 Around 70 boys and men where gathered from all over the island and they resembled characters from an old movie as they sped down the runway to a frenetic pace set by a live folk band. 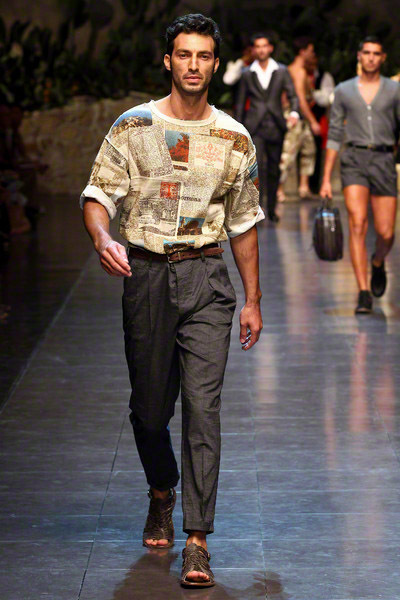 The message was authenticity and the show focused on vintage clothes. 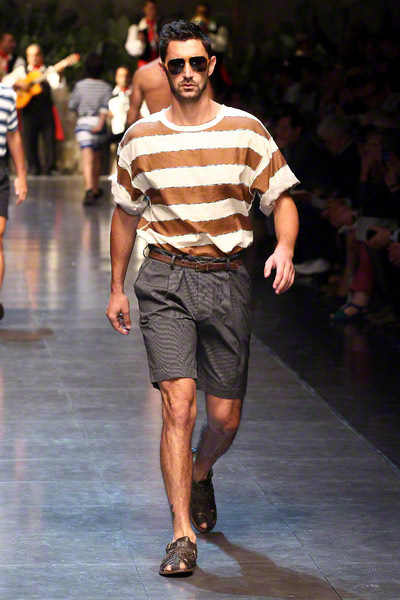 Vacation-friendly sportswear, striped vests and T-shirts with a rustic hand-painted look, souvenir prints, high-waist shorts. 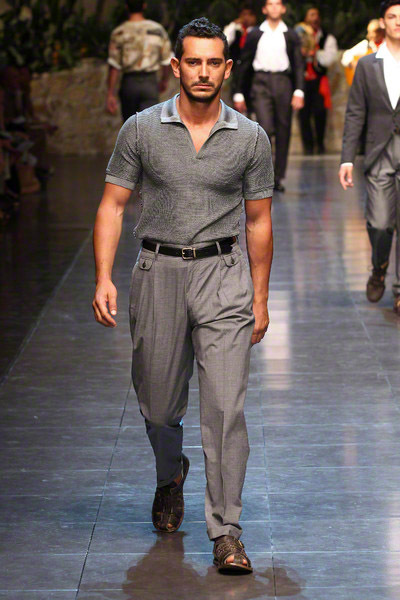 Shirts with flat, open collars and unconstructed suits with voluminous pleated pants came straight from a Sicilian grandfather’s wardrobe.